We will adopt a non-refundable policy in cases of cancellation, non-appearance or reduction of numbers related to the amount we will charge on the customer's credit card. Share Guest Hostel features free WiFi access and free private parking. Bed linen are also available to guests. 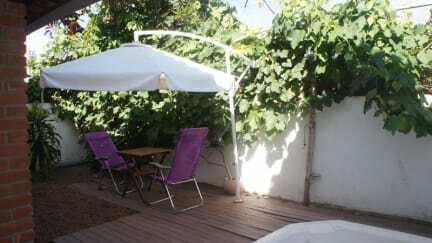 At Share Guest Hostel, guests will find an outdoor area with barbecue, outdoor spa and a shared lounge. Other facilities include a shared kitchen. We are located in one fo the best areas of Sao Paulo, near to some of the most relevant attractions and facilities of our city such as Museum Lamp, Sitio da Ressaca and Sao Paulo Zoo, amongst other important spots and landmarks of our city. We have several rooms types, both private rooms and dorms in order to suit the needs and wishes of our guests and travellers. In addition, we also have several common areas where the guests and travellers will be able to meet each other and exchange past experiences and future plans. Breakfast not included - 6.00 BRL per person per day.